The wee and really rather lovely monito del monte doesn’t go around the world proclaiming different types of fruit to be in tip top condition, nor is he “the little monkey of the mountain” as the natives like to call him. This chap could be the biggest case of a missing persons in the animal kingdom, indeed this little ex-patriot was thought to be extinct more than eleven million years ago, before popping up swanning around in South America. Forty six million years ago, when India was having a ding dong with Asia causing the Himalayas to buckle up out of the earth, mega-continent Gondwanaland was going through a rather messy divorce. 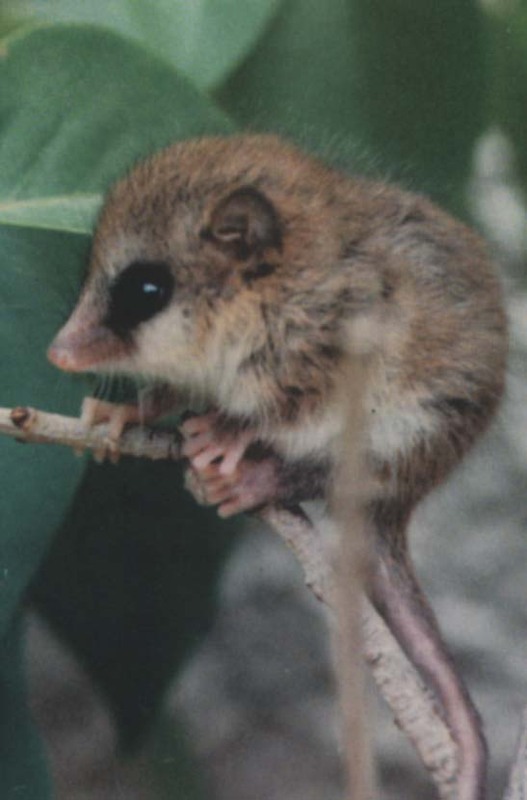 While the Americas drifted away from Oceania the monito del monte and the Australian marsupials said Adieu. Leaving the rather marvellous Australian little mountain monkey behind. 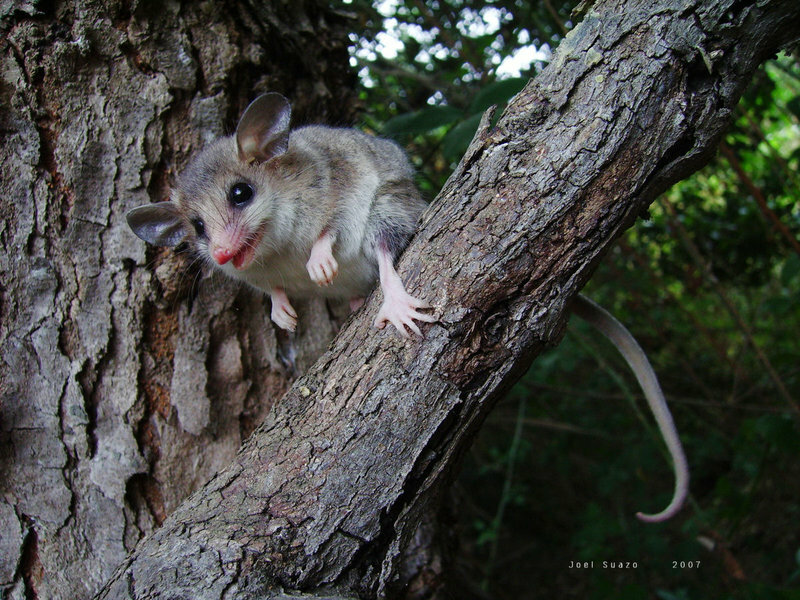 There are of course South American marsupials, the mammals that have a handy little pouch in front to keep their young and pocket watches in… namely the opposums and the shrew opposums. 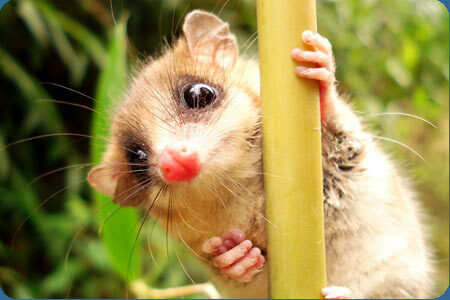 However it seems the smashing monito del monte is naturally a lot more closely related to Australian marsupials. Not so long ago on a farm in Queensland, Australia there was a rather smashing find; a small pile of bones belonging to a tiny wee thing called Djarthia, which for all intents and purposes turned out to be a monito del monte. In fact Djarthia is the oldest marsupial from Australia, so it seems that all of Australia’s marsupials come from this wee gadabout, which means the little mountain monkey is a rather important formerly-extinct wee fellow. Many species seemingly go extinct, only to suddenly appear feeling right as rain in some hitherto unexplored part of the planet. Such “lazarus taxon” as they are known are perhaps inevitable as we know so little about the planet we live on. Incidentally sometimes they turn out to be impostors, new species that look like old species, these look-alikes are known as “elvis taxa”… yes really one isn’t making it up. Further there are fossils that appear to go extinct that are then found millions of year later in the record… these are called “zombie taxon”… now really one must protest one may be half way through a rather nice Chateau Latour… but yes one is telling the whole and absolute truth. Now where are we you impudent bunch… ah yes the rather gorgeous monito del monte. 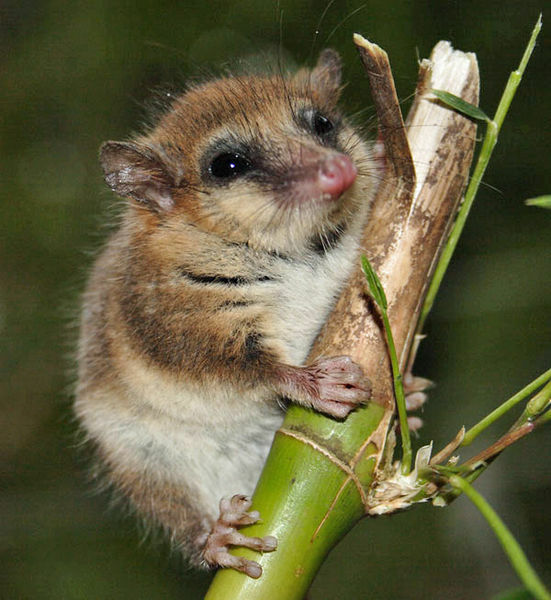 The monito del monte lives in a very small corner of the Chilean Andes, where he makes his nest in the bamboo thickets that grow there. He covers the nest with moss to keep himself all warm and toasty and will hibernate when the weather turns too cold. They eat insects and fruit, in fact the local mistletoe is so dependent on the monito del monte for seed dispersal it would quite simply go extinct if anything untoward should happen to the little chap… and we wouldn’t want that to happen again. Marvelous blog! I love your humorous and interesting descriptions of our varied zoological fellows on the planet! What a fantastic blog — weird animals and the classiest writing since God knows when! …but shouldn’t it be …such “Lazarus taxa”…?